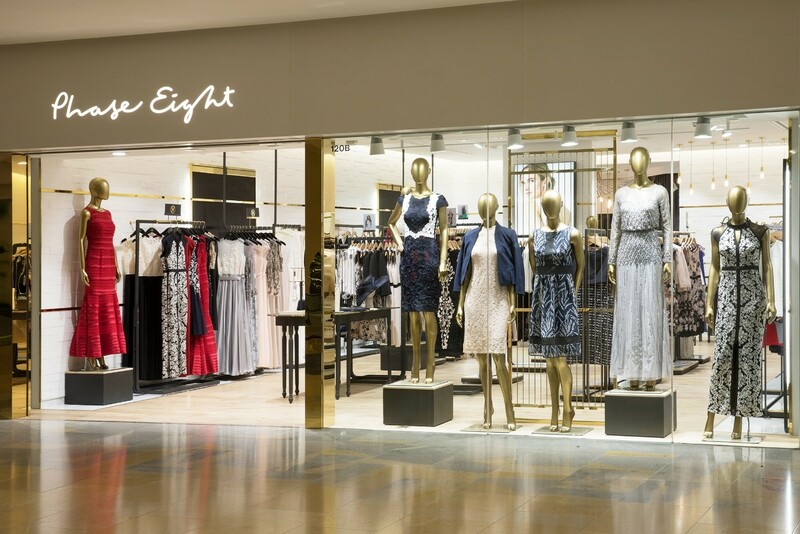 Phase Eight, the contemporary yet elegant British womenswear brand, in partnership with Rue Madame Fashion Group (RMFG), opens its 8th point of sales in Asia. It is in Hong Kong’s premium lifestyle hub, Pacific Place where the brand decided to establish its flagship store. Phase Eight flagship store, opened on 21st March, is located on the first floor of Pacific Place, and with the full collection of party cocktail dresses, occasion dresses, wedding dresses, bridesmaid dresses, evening gowns, workwear and casualwear in season’s key colours and prints, complete the look with stylish clutches, stunning headpieces and gorgeous heels. To extend the core principle of Phase Eight – an original, design-lead brand offering personal shopping experiences to customers: A brand new Bridal Lounge Concept is exclusively embedded in store. A private yet cosy lounge allows customers to shop in relax and comfortable environment. From selecting the ideal outfits for special occasions to accomplish your daily wardrobe, our team provide the tips and services professionally. Spread over 1000 square feet, the new store featured a brand new retail concept in Pacific Place, offering a modern and minimal aesthetic, to create an inviting and relaxing shopping space. The store creates a spacious and simple aura. The brass trim, marble edge and felt wall panel details give the store a modern touch in a subtle approach. In the atmosphere of refined elegance, everything has been carefully considered to ensure the best reception for the store’s prestigious clientele.